A complete list of sales terms from A to Z.
AB Testing (or Split Testing) is an experiment involving two variants, usually for measuring and comparing market response to each. For example, you can measure visitor traffic or conversion rate on two different web pages having similar content and purpose. Account refers to a record of primary and background information about an individual or corporate customer, including contact data, preferred services, and transactions with your company. Account-based Everything (ABE) or Account-based Revenue (ABR) is a framework that entails full coordination of customized care and management of targeted customer accounts across all relevant units of your organization (such as marketing, sales, finance, and product development) as well as the entire customer life cycle from lead generation to after-sales support. Account Based Marketing (ABM) is a strategic framework that engages qualified individual prospects or customer accounts as unique markets in themselves, worthy of focused, hyper-personalized treatment by sales, marketing and other teams. Account Based Selling (ABS) or Account Based Sales Development (ABSD) is a primarily B2B selling framework that treats qualified or high value accounts as unique markets in themselves, where each account deserves dedicated resource allocation as well as hyper-personalized and multi-point engagement with different teams from your organization. An account development representative (ADR) is a sales specialist focusing on attracting, qualifying and securing new leads for further engagement, conversion and nurturing by account executives. An account executive (AE) is a sales specialist who has primary responsibility for one or more customer accounts (called a portfolio), commonly tasked not only to nurture and grow the company’s relationships with said accounts but sometimes also to convert qualified leads into paying customers. Accounts Payable refers to an accounting entry denoting the amount of short-term monetary obligation your company owes its suppliers, vendors and other service providers. Accounts Receivable refers to the amount of money yet to be collected from your customers who purchased a product or subscribed to a service. Accredited Investor – Legally, $200k+/yr (or 300 w/ spouse) take-home or 1M+ assets. Amortization – paying off debt on a fixed schedule or spreading a write-down over time. Analytics is the active study of different types of data with the aim of discovering meaningful patterns and translating these into insight (such as historical analyses and forecasts), or action (such as those intended to improve business performance). Annual Recurring Revenue (ARR) is the value of contracted, often subscription-based revenues normalized for one calendar year. Application Program Interface (API) is an accessible technical framework for exchanging data. Applicant Tracking System (ATS) is a giant fancy excel chart used to follow hiring. Artificial Intelligence (AI) refers to a system of computers, software, machines and processes that simulate certain aspects of human intelligence such as image perception, voice recognition and reasoning. Average Contract Value (ACV) is the average revenue you derive from a single customer in a given period. It is called Annual Contract Value (ACV) when annualized and Average Purchase Value (APV) when the revenue derived is not subscription-based. Average Sale/Selling Price (ASP) is a term that may refer to the average price of a product in a given market or channel or the price a certain class of products or services is commonly sold for. B2B is an acronym for Business-to-Business, a model for selling, relationship-building or engagement. B2C is an acronym for Business-to-Consumer, a model for selling, relationship-building or engagement. B2C2B is an acronym for Business-to-Consumer-to-Business, a model for selling, relationship-building or engagement. Base Salary refers to an agreed-upon amount of payment an employee received as compensation for work rendered. Baseline refers to a minimum level or starting point from which further measurements or comparisons can be made for analyses, forecasting, performance improvement or strategy formulation. BASHO Email is a customer engagement sequence using voicemail and email messaging aimed at increase the likelihood of a positive response from prospects. A bonus is a gift or additional compensation given on top of the standard pay or fee, often serving as a reward for outstanding performance or for achieving certain business targets. Bookings are the net new contracts signed, in dollar amounts (typically ACV or TCV). Business Intelligence (BI) refers to the interpretation of (primarily internal) data to inform product and market decisions. A business development representative (BDR) or sales development representative (SDR) is a sales specialist focusing on finding new prospects, establishing foundational relationships, and refreshing the sales pipeline with new leads for account executives. A buyer is an individual or organizational entity that purchases a product or subscribes to a service. Buying Intent refers to the apparent likelihood of a person or organization of purchasing a product or service as inferred from behavior such as online browsing, media consumption, document downloads, event participation. Call for Proposal (also: RFP is similar) is the process by which a company asks for something to be sold to them. Competitors usually compete to win the client’s business. Challenger Sales Model is a sales framework that takes the disruptive approach to solution selling, where customers are pushed beyond their comfort zones to embrace new ideas for their business. It alludes to the Challenger, one of five sales representative profiles as classified by CEB (now Gartner). The five profiles are Challenger, Hard Worker, Lone Wolf, Problem Solver and Relationship Builder. Champion/Challenger Test is a testing approach for determining the best engagement strategy for a given market segment, wherein the Champion represents your current production/servicing paradigm while the Challenger(s) represent new or different ways of doing things. Channel Partner is a person or organization that offers services or products on behalf of another entity, mostly via a co-branding agreement. Channel Sales is a method of classifying and deploying your sales force into groups focusing on different distribution channels such as in-house sellers, retailers, dealers, and direct marketers. Churn is a term that describes the percentage of customers that leave or cancel a service or product within a given period of time. C-Level or C-Suite Executives (CxOs) are usually listed as Chief Executive Officer (CEO), Chief Technology Officer (CTO), Chief Marketing Officer (CMO), Chief Financial Officer (CFO). Clawback means contractual provision or an action involving an employer or benefactor taking back money already released to an employee or beneficiary. Click Through Rate (CTR) is typically expressed as a percentage and refers to the number of clicks on a link (usually an ad) divided by the number of times the page containing the link is shown. A client is an entity who pays another entity for products purchased or services rendered. Also called a customer. Closed Won is the status of an opportunity where the deal has been closed with the prospect/lead who is now considered a customer. Cold Call is an attempt to engage a prospect (via a personal visit or a voice call) who have no prior knowledge about or contact with the salesperson making the call. Cold Email is the use of email to engage a prospect who have no prior knowledge about or contact with the salesperson sending the email. Commission is the amount of money a sales professional earns for reaching a specific sales volume or for executing one or more business transactions. Compensation is the total payment and benefits an employee receives for rendering work — covering basic salary, allowances, commissions, bonuses, health insurance, pension plans, paid leaves, stock options, and other benefits. Complex Sale is a type of sale common in B2B markets involving multiple decision makers, custom service or purchase agreements, and relatively longer sales cycles. Compounded Annual Growth Rate (CAGR) is the measure of growth over different time periods. Consider it the growth rate that gets you from the initial investment value to the ending investment value – e.g. we grew 72% CAGR (not the same value as YoY). Content refers to a material or document released in various forms (such as text, image, audio, and video) and created to inform, engage or influence specific audiences. Content Management System (CMS) is a computer program or software application used to create, modify, store and manage digital content. Conversion is the process of turning a target consumer into a paying customer; or more generally, the point at which a user performs a specific action favorable to a marketer or a seller. Cost Per Click (CPC) is an advertising metric by which advertisers pay a bidding fee based on the number of people who click their ads. Commonly used in Google Adwords and Facebook Ads. Cost Per Impression (CPI) is an advertising metric by which advertisers pay a bidding fee based on the number of eyeballs that are exposed to their ads. Commonly used in Google Adwords and Facebook Ads. Covenant is a formal written promise stating that certain activities will or will not be carried out. Restrictive covenants include NDAs and non-compete agreements. Customer is an individual or an organization that purchases a product or signs up for a service offered by a business. Customer Acquisition Cost (CAC) is the cost that is required to acquire a new paying customer for a product or service. Customer Relationship Management (CRM) is a system, set of practices, and associated technologies used to record, manage and analyze customer data and interactions, with the aim of improving customer engagement and revenue. Customer Success is a proactive mindset, function, department or strategy commonly adopted by B2B companies to optimize business with customers, reduce churn rate, drive profits and increase the predictability of recurring revenue. Data is a set of quantitative and qualitative facts that can be used as reference or inputs for computations, analyses, descriptions, predictions, reasoning and planning. Day Sales Outstanding (DSO) is the time after acquiring a client before actually getting paid. Days to Term Sheet is the time from first contact to signing – average is 37 days. Deal Closing (or Closing a Deal) is the process of completing a sales transaction wherein the prospect agrees to purchase a product or sign up for a service. Decision Maker in the context of sales, is a person who possesses the required expertise and authority in making purchase decisions. Demand Generation is a marketing process that aims to build awareness and excitement about a company’s products and services, often used by businesses to promote new offerings or feature sets, reach new markets, generate consumer buzz and drive customer loyalty. 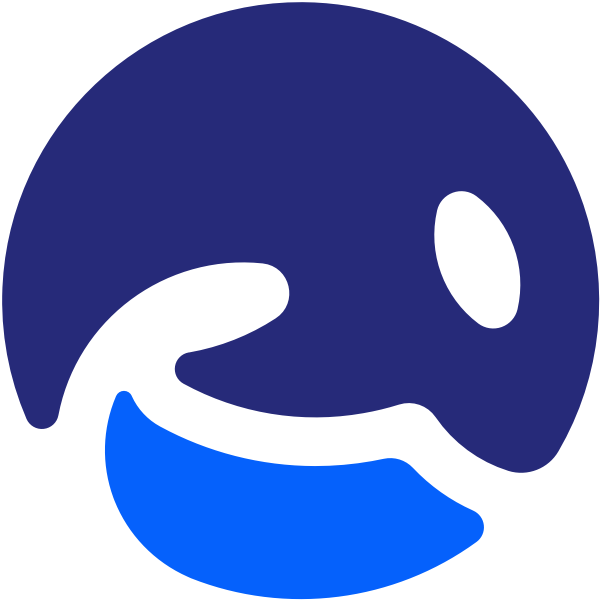 Dialer is a computer software, application or electronic device that automates the process of making phone calls. Direct Mail is a communication channel where newsletters, catalogs, brochures, and other documents are sent via traditional postal services (such as the US Postal Service) that physically deliver parcels (also called snail mail). Direct Sales is the method of selling a product or service in a location other than the associated retail stores or offices, wherein the seller personally engages a prospect in a physical or face-to-face environment such as a home or a cafe. Discount means a promotional reduction in the cost of a product or service, commonly deployed to speed up sales. A discovery call (might be used interchangeably with a qualifying call) is the first call with a potential customer, designed to determine if they are a good fit — wherein the seller can start building rapport, set the tone for the relationship and gain deeper insight about the prospect’s challenges. Doing Business As (DBA) is simply a rebranding or sub-branding – meaning, the name under which they operate their business differs from its legal, registered name. Double Trigger is a clause that accelerates vesting when an employee is let go (without due cause) in an acquisition. Drag Along Rights allow a simple majority of investors to effect legal change (usually a sale). Drip Campaign is an automated response email that is sent after a certain amount of time. EBITDA (earnings before interest taxes, depreciation, and amortization) – the accounting standard that large companies use. E-Commerce is a field, platform, or environment where the buying and selling of goods and services are transacted online. Employee Engagement is the state, level, or process of building employee commitment to an organization, reflected in how much they strive to improve the company’s image, well-being and profitability. Engagement is the state or process of keeping a specific class of audience (employees, management, customers, etc.) interested about a company or brand and invested in its success because of its perceived relevance and benefits to the audience. Enrichment means the act or process of upgrading the value or improving the quality of something (such as a product, service or function) that induces the target beneficiary (customers, employees, etc.) to have a better experience, or derive a deeper meaning, connection and attachment to the product or function. Enterprise (in the context of sales) is a relatively large organization typically composed of multiple levels, locations, and departments which need multi-layer software systems that support collaboration across a large corporate environment. Enterprise Resource Planning (ERP) refers to software that seeks to centralize purchasing, inventory, shipping and fulfillment, product planning, HR, and more. Entrepreneur in Residence (EIR) refers to when a venture capital firm hires a successfully exited founder to do deal flow/diligence (see also: VCR – VC in Residence). EOM is an acronym for End of Month. EOQ is an acronym for End of Quarter. EOY is an acronym for End of Year. Equity means a common stock, preferred share or other forms of security that represent ownership interest in a company. Fair Market Value (FMV) is the price that a reasonably interested buyer would be willing to pay for a given asset or service. This is very difficult to compute, but used to value companies. Firmographic is a set of descriptive attributes of prospective organizational customers that can be used to classify firms into relevant or applicable market segments. Fiscal Year is a financial accounting period of one year (that may or may not coincide with the calendar year), which is used by governments and businesses for taxation, budget planning, performance assessment, strategy formulation and other purposes. Forecasting is a prediction or calculation of a trend or event likely to occur in the future based on qualitative, quantitative and historical data as well as emergent but relevant factors. Fortune 500 is a listing of the 500 largest companies in the United States based on revenue, compiled and published yearly by Fortune magazine. Forward revenue is recurring revenue projected for the next 12 months. Public SaaS co’s are valued based on this. The current median multiple is 5.0X forward revenue. Gatekeeper is a person (e.g., an executive secretary), application (e.g., a subscription or authentication interface) or other entities that control access to a person or object with a desired attribute such as a premium feature in case of a software service, or the ability to make purchase decisions in case of a corporate executive. General Manager is an executive with varying levels of importance and range of responsibilities depending on corporate structure, but who generally leads a company unit or a branch, overseeing its performance, profitability and daily operations. Global Business Unit (GBU) is a semi-autonomous component of a multinational corporation that focuses on a specific industry vertical or a specific set of functions, products or services, operating on a global scale. Go-to-market (GTM) strategy or Go-to-market plan refers to a plan, set of actions or road map that a company formulates with the aim of optimizing marketing and sales resources to establish the value of a new (or re-branded) product or service for consumers and achieve competitive advantage, using methods such as advertising, distribution, pricing, direct sales and social media engagement. Gross Margin refers to total sales minus the cost of goods sold (COGS). Median for true SaaS cos is 71%, but what are considered to be “good margins” varies in SaaS. If you are running a marketplace/transaction revenue business, be very clear about gross margin. Ideal Customer Profile (ICP) refers to a type or class of customer who possesses all the desirable attributes (such as gender, age, location, financial capacity, lifestyle, brand affinity, etc.) that increase the possibility of an opt-in or a purchase, (your perfect type of client). Inbound refers to interest (could be sales or marketing driven) that comes in – e.g. cold emails to you, submitted forms on your website, press inquiries, etc. Inbound Sales is a process, method or transaction wherein purchases occur as a result of customers directly approaching, engaging and embracing your brand, achieved by focusing on their needs and strategically leading them to your solution. An independent software vendor (ISV) is an organization specializing in making and selling software, designed for mass or niche markets. Infrastructure as a Service (IaaS) refers to a type of cloud computing that provides digital computing resources over the internet. IaaS is part of 3 main types of cloud services, along with Software as a Service (SaaS), and platform as a service (PaaS). Examples of IaaS are backend functions like Amazon Web Services (AWS), Zapier, , Docker, etc. Initial Public Offering (IPO) refers to the sale of stock issued by a private company and offered to the public for the very first time. InMail Messages are introductory email that are sent to another LinkedIn member you’re currently not connected with. IVR Systems are interactive voice recording systems. Key Accounts are whale spenders or VIP customers prioritized by sales reps and customer success; churn from these clients would be a detrimental loss to the company’s revenue. Key Performance Indicators (KPIs) are the most relevant measurable values that help indicate whether an organization or individual has succeeded at achieving targets or a desired level of performance. Kickers are monetary bonuses or extra commissions offered to motivate sales professionals to exceed quota, showcase a specific service or product, or target a particular market segment. Lead refers to a prospect or potential customer (who can be an individual or organization) that exhibits interest in your service or product; or any additional information about such entity. Lead Generation is a set of activities aimed at generating interest around a product or service through methods such as 1. content marketing (blogging, podcasts, free downloads); 2. advertising (PPC, banner ads, Yellow Pages, sponsoring an event); 3. referrals (recommendations from existing customers and other people); 4. outbound marketing (cold email, cold calling), and 5. partnerships (joint ventures, affiliate marketing). Lead Nurturing refers to the process of engaging and building long-term relationships with prospective customers through different marketing techniques that develop their preference for your product and services. Lead Qualification is the process of determining whether a potential customer has the characteristics of your company’s ideal client (such as sufficient purchasing ability and a higher likelihood of buying your product). Lead Scoring is the process of assigning a relative value to each lead based on different criteria, with the aim of ranking leads in terms of engagement priority. LinkedIn is a social network for the business community. Loss Aversion is a psychological effect whereby people feel more strongly (negatively) about losing a sum of money than they do (positively) from gaining the same amount. Low-Hanging Fruit refers to a class of prospective consumers or a market segment that requires the least level of effort to turn into paying customers. Machine Learning is an aspect or type of artificial intelligence whereby a computer possesses the ability to learn various things by itself without explicitly being programmed to. Marketing is the field, set of actions, or practice of making a product or service desirable to a target consumer segment, with the ultimate aim of effecting a purchase. Marketing Qualified Lead (MQL) is a type of lead that has been evaluated — based on a given set of criteria — to have a higher likelihood of becoming a paying customer compared to other leads. Messaging is the process of communicating your brand’s value proposition, the benefits you offer, and the perceived meaning of such communication among your target audience. Assess a set of attributes such as a company’s profitability. Determine cost efficiency or an individual’s job performance. Implement corrections or remedial actions. Formulate departmental or corporate strategies. Mid-Market is a classification of business organizations in terms of scale (revenue, number of employees, etc. ), occupying the segment between the small companies and large multinational enterprises serving the same market. Minimum Viable Product (MVP) is a development framework by which a new product or website is built with bare minimum / basic features; just enough to satisfy early adopters. The point is to validate product-market fit and demand. This is usually a fast, crappy product thrown together to see if anyone will buy it. Speed of execution is the goal. Monthly Recurring Revenue (MRR) is the amount of reasonably regular and predictable income a company expects to receive every month, typically used in rental and subscription-based businesses. The formula for calculating MRR = ARR divided by 12. Needs Assessment is a process for analyzing a system, person, function or organization with the aim of determining what the entity lacks to achieve a desired state or outcome, usually involving the identification and classification of specific needs according to their level of importance. Negotiation is a strategic dialogue, discussion, or bargaining process between two or more parties with the goal of reaching a mutually acceptable agreement. Net Asset Value (NAV) refers to value per share in a mutual fund or ETF. Net New Business is a prospect that you have newly converted into a paying customer or an existing account that has been dormant for a long period but has been re-engaged and reactivated as a revenue-generating account. Net Promoter Score (NPS) is a rating used to gauge the loyalty or satisfaction of a firm’s customer relationships. This survey is typically administered on a scale of 1-10, with 9-10 considered as promoters, 6-8 as passives, and 1-6 as detractors. Net X indicates payment is to be delivered in X days (typical: Net 30 or Net 60). Objection refers to a position, statement or view of a prospect which indicates reservation about or disagreement with a particular aspect or the entirety of your sales pitch, lessening the likelihood of a purchase. On Track Earnings / On Target Earnings (OTE) refers to a common sales pay structure composed of a base salary with an additional amount of commission. For example, this would refer to a sales rep’s take-home pay if they are meeting quotas and earning expected commissions. OTE is an estimation; over/under quota reps will make different salaries depending on performance. Onboarding is the process or act of introducing a new customer to your product or service; or integrating a newly hired employee into your workforce or team. Opportunity (also SQL, Sales Qualified Lead) is a lead that has been determined to have a higher likelihood of opting in, subscribing or making a purchase based on a set of criteria. Optimization is the process or act of altering a system, design, or procedure such that it 1) attains full functionality or efficiency, or 2) generates maximum output, benefit, or impact. Org Structure is a system by which the hierarchy, lines of authority, and interrelationships of teams, roles, responsibilities, and functions in an organization are defined. Organization is a cohesive group of people working together and formally bound by a shared identity (e.g., one team, company, club, etc.) and a common purpose (e.g., business growth, athletic victory, etc.). Outbound Sales refers to a process where the seller directly initiates contact with a prospect customer with the aim of closing a deal down the line using methods such as cold calling, cold emails and direct outreach on social media. Platform as a Service (PaaS) refers to selling either a lightweight product with tons of integrations/apps or just the marketplace (e.g. Salesforce, Slack, Zapier). Plays is an engagement strategy, set of actions, series of tactical steps, or an agreed upon selling approach developed to be repeatable and customized to deliver the highest likelihood of closing a deal with a specific group of prospective customers during a set period. Point of Contact (POC) is the person or unit representing an entity, typically tasked to facilitate decision-making and coordinate the flow of information to and from the entity. Predictive Analytics refers to the field or tool that uses historical data, statistical models, emergent trends and other information to formulate an informed forecast about the future, usually with regards to the performance, growth, or feasibility of a business. Presidents Club is a prestigious award – often the most coveted in a sales organization – given to elite performers for exemplary achievements. The award often involves generous prizes and time spent (vacation, dinner, etc) with the organization’s key executives. Pricing/Price is the amount of money needed in order to purchase the service or product. Pro rata is a Latin phrase that describes a proportional allocation of income, expenses, or other quantities to their component items based on these items’ original share of the total amount. Pro rata rights refer to the right of first refusal (ROFR) given to investors (typically institutional ones) that allow them to buy an equivalent amount of equity that they would ‘lose’ due to dilution in the round(s) after the one they originally invested in. Procurement is the process of finding and acquiring goods and services, usually involving demand assessment, bid reviews, approval requests and transaction logging. Product refers to anything (an idea, item, service, process or information) that meets a need or a desire and offered to a market, usually but not always at a price. Product Lifecycle Management (PLM) is the process of managing a service or product across its entire lifecycle — ideation, design, development, deployment, termination/disposal. Product Qualified Lead (PQL) is a potential customer who meets a set of predefined criteria and have used a benchmark product(s), indicating a relatively higher likelihood of making a purchase. Professional Employer Organizations (PEO) is a firm that provides business/administrative services that employers can outsource. Many services can be outsourced via PEOs – such as employee benefits, payroll and workers’ compensation, recruiting, risk/safety management, and training and development. Profitability is the potential, degree, metric, ability or relative efficiency of a business to yield financial gain (i.e., profits) after all relevant expenses and costs have been deducted. Proof of Concept (PoC) is a study, prototype, or demonstration attempting to prove that a business idea is feasible and has the potential to be successful. Purchase Order (PO) is a document issued by a buyer to a seller to indicate the services or products the buyer intends to subscribe to or purchase at the indicated cost. Push Counter is a dashboard tracker used in some CRM’s such as Salesforce to monitor the frequency at which closing an opportunity is being pushed/postponed from period to period. Quarter is a three-month period in a company’s fiscal year commonly used to make comparative performance analyses, detect or forecast business trends, report earnings, and pay shareholder dividends. Quota is a predefined benchmark indicating the amount of sales a selling unit such as a sales rep or a regional sales team should achieve within a given period, often used as a measure of success, performance and eligibility for commissions and other rewards. Ramp up may refer to 1) the state at which full productivity (such as quota attainment) has been achieved by a salesperson or team; 2) the effort or campaign to achieve such a state; or 3) the amount of time or the rate at which a salesperson or a team achieves quota. Also called “Ramp Rate” or “Ramp up Time”. 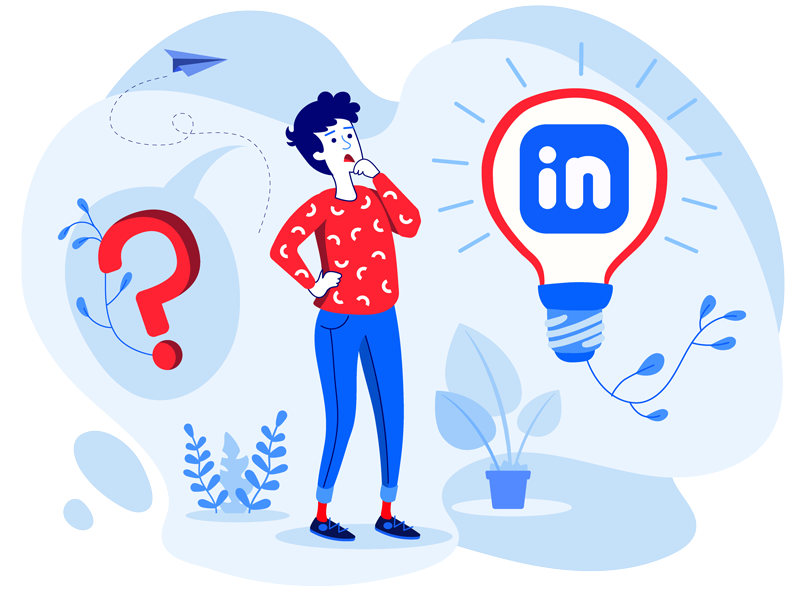 Recruiter is a person or agency whose primary purpose is to find, assess, hire and onboard people as employees in a company or as members of an organization. Referral means the act, process, or technique of generating sales leads wherein a third party shares information about a new prospect. Relationship Business Management (RBM) refers to the process of transitioning customer interactions from a transaction-based paradigm to one of long-term subscription. Request for Information (RFI) is a business document that aims to gather textual information about the offerings and capabilities of business entities such as vendors. Less rigorous than RFPs. Request for Proposal (RFP) is a business document that requests vendors or service providers to submit a proposal or bid during a procurement process. Request for Quotation (RFQ) is a business document asking suppliers or service providers to give a comprensive quote/pricing for the purchase of an item(s) or the completion of a specific task. Request for Tender (RFT) is a formal process where suppliers or service providers are invited to submit a bid for the procurement of an item, commodity or service. Return on Investment (ROI) is a metric — commonly expressed as a percentage — that indicates the efficiency or profitability of an investment, computed by dividing the benefit (return) by the cost of investment. Revenue is the amount of money a business generates during a specific period such as a year or a quarter; also called sales. Right of First Refusal (ROFR or RFR) is a contractual right granting its holder the option to perform a specific business transaction with an entity before any such transaction is offered to a third party. Rule of Reciprocity is a sociological rule that compels a person to treat others positively with the expectation that the person will be treated the same way. Sales Acceleration is the act or practice of speeding up the sales process using tools and technologies that improve the productivity and efficiency of sales professionals. 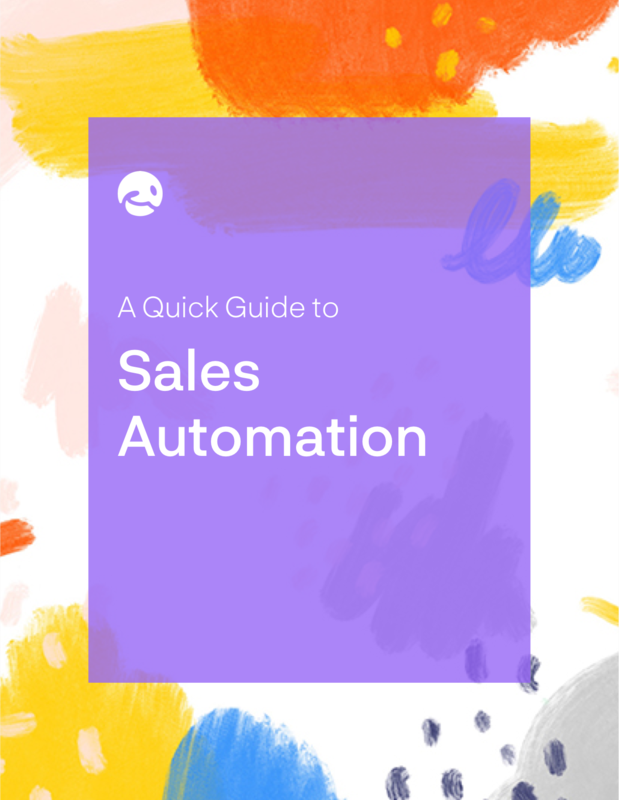 Sales Automation is the act, practice or technique of using software to simplify, speed up or streamline the entire sales process or specific component activities such as customer tracking, forecasting, and inventory monitoring. Sales Cadence is the established sequence of activities (such as voice calls and emails) and the frequency at which your sales team engages a prospect or an account, as guided by data analytics. Sales Champion is a prospect with influence and authority who also deeply understands and likes your product to the point of advocating for its adoption and success. Sales Coaching is the process of helping sales professionals improve their performance, efficiency, and impact largely through behavioral changes and the development of new skills. Sales Cycle is a repeating process characterized by a predictable sequence of stages that a company undergoes as it sells its products and services to customers. Sales Demo is the act or process of showing the functions, benefits and value of a product or service as it relates to a particular audience, with the aim of leading the audience towards a purchase. Sales Development Representative (SDR) or Business Development Representative (BDR) is a sales specialist focusing on finding new prospects, establishing foundational relationships, and refreshing the sales pipeline with new leads for account executives. Sales Director is a senior-level executive who oversees an organization’s sales operations by 1) leading the formulation and execution of strategies, plans and policies for national or international sales 2) proposing and rationalizing departmental budgets; 3) supervising regional sales managers; and 4) ensuring continuous sales growth for the company. Sales Enablement is a strategic process that provides a company’s sales professionals with tools, technology, training and other resources that improve their performance at customer engagement and at generating value for all stakeholders in the sales process. Sales Funnel is a visualization of the sales process that defines the stages through which prospective customers go through as they are led by sales professionals towards a purchasing decision. Sales Kickoff is a major annual event for sales organizations, often held as a celebratory gathering where key achievements in the prior year are recalled, new revenue and organizational targets are set, and inspirational talks/strategy presentations/keynote speeches are given by guest dignitaries and top executives to galvanize the salesforce to deliver high performance in the coming year. Sales Lead is a potential consumer of your company’s product or service who have 1) expressed interest about your offerings, and 2) shared contact information. Sales Manager is an executive who leads a sales unit, team or department by setting goals and meeting targets, formulating plans and policies, designating tasks, and developing salespeople. Sales Operations is a collection of aligned business processes, strategic implementations and other activities aimed at achieving organizational goals, specially in the areas of sales revenue, market coverage and growth. Sales Partnerships is a formal collaboration between individuals or organizations aimed at bolstering the sales performance of a product or service for mutual benefit. Sales Pipeline is a type of visualization showing the status of each sales prospect in the customer life cycle or sales process. Sales Process is a series of strategic steps or a set of activities aimed at driving sales growth through the alignment of personnel, market insight, methodologies, relevant business units, and technology. Sales Productivity is a metric that indicates how efficient a sales unit is at closing sales and generating revenue for the company, based on sales volume, payroll expenses, level of personnel activity and other factors. Sales Prospect is a potential consumer of your product or service who meets a given set of benchmarks; typically a sales lead whose financial capacity, buying authority and willingness to purchase are found sufficient enough to qualify and be upgraded in the sales funnel as a prospect. Sales Prospecting is the process of finding, building and qualifying a pool of potential buyers or clients through networking, cold calling, advertising and other engagement methods. Sales Qualified Lead (SQL) is a potential customer that has already met the criteria for MQL and has further shown a higher likelihood of opting in or making a purchase. SQLs are flagged by sales development representatives and forwarded to quota-driven Account Executives (AE) for closing-level engagements. Sales Training is the process of improving the skills, behavior and mindset of sales professionals to upgrade their selling performance. Salesforce Administrator refers to an individual — usually a team leader or manager — tasked to maintain high employee productivity and engagement through technology, process improvements and other methods; also a person tasked to operate and maintain the Salesforce CRM. Sandler Training is an organization that trains professionals around the world on sales performance, management, and leadership. Scraping is the process or technique of extracting large amount of data from websites. Also called data harvesting, data scraping. Segmentation is the process of subdividing a large market into distinct partitions (or segments) based on demographics and other factors, with the aim of formulating and implementing separate strategies to better engage the consumers in each segment. Selling, General, and Administrative (SG&A) refers to non-production expenses that are often itemized in a company’s income statement under operating costs. These include business management expenses as well as costs incurred in the promotion, sale and distribution of the company’s products and services. Sender Policy Framework (SPF)/DomainKeys Identified Mail (DKIM) verification are online security processes that prevents email fraud, phishing, impersonation, spam, spoofing, and other malicious online activities. Service Level Agreement (SLA) is a contract between a service provider and a consumer that specifies the quality, availability, restrictions, and other aspects of the service. Serviceable Available Market (SAM) is the portion of the Total Addressable Market (TAM) that can be reached by a business based on its current capabilities or prior track record (i.e., how much of the market you could realistically reach). Serviceable Obtainable Market (SOM) is the portion of your Serviceable Available Market (SAM) that you can reasonably capture in the short term. This is the smallest of the three market scales (TAM, SOM, SAM). Share Purchase Agreement (SPA) is a contract between a company, its shareholders, and investors that sets the basic terms for the purchase and sale of shares. Also called Share Sale Agreement (SSA). Shareholders’ Agreement (SHA) is a contract among the shareholders of a company prescribing how the company’s operations should be conducted and stipulating the rights and obligations of shareholders. Signaling is a process in which a consumer conveys readiness to purchase your product or service as indicated by “signals” or triggers such as willingness to sign up, participation in events, asking questions about your solutions, etc. Single Sign On (SSO) a method that allows access to multiple but independent software systems using a single ID and password. Considered safer, both in cybersecurity and in enterprise permissioning. Small & Mid-Size Business (SMB) is a business organization that straddles the middle of the scale between an office/home office (SOHO) and large enterprises, having varying number of employees and revenue level depending on location. In some classifications, a small business has fewer than 100 employees while a mid-sized business has 100-999 workers. Smarketing is the process of closely aligning the sales and marketing operations of a business, with the aim of increasing revenues via a shared integrated strategy. 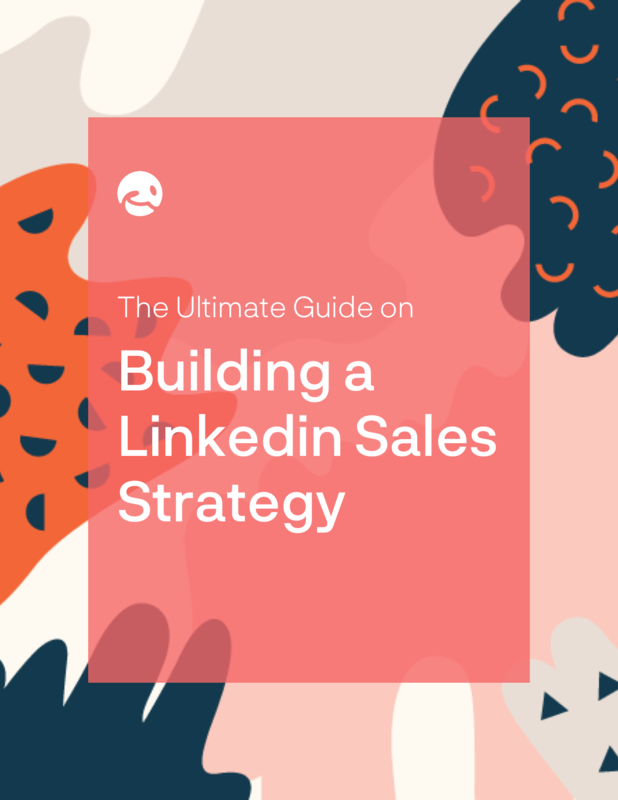 Social Selling is the deliberate use of online social networks as sales channels, where sellers directly engage and develop relationships with prospects by probing their needs and providing relevant and valuable insight. Software as a Service (SaaS) is a software distribution model where customers access and use the software under a subscription agreement. Almost always, the service is accessed on the Internet using cloud and browser technologies. Software capitalization is an accounting method that treats expenses related to software procurement or development as fixed assets. Solution is a combination of ideas, strategies, processes, technologies and services that effectively helps an organization achieve its goals or hurdle its challenges. Solution Selling is a sales approach commonly adopted in a B2B environment where the salesperson probes the customer’s problem(s) and develops/proposes a solution using the seller company’s products or services. Spiff refers to a quickly awarded incentive – such as an immediate financial bonus, paid vacation, or non-cash prize – for meeting a milestone (e.g., first premium sale of the day) or performing a specified task (special quota attainment within a specified time frame). Employers, managers and other entities offer spiffs when introducing new products or hiking up production for a given period. Business people sometimes treat spiff as an acronym, ascribing the words “Sales Performance Incentive Fund” to form its meaning. SPIN Selling is an acronym for four types of questions (Situation, Problem, Implication, Need-payoff) a sales professional should ask a prospect to establish a customer-centric selling paradigm and increase closing rate. Stakeholder is an entity with an interest in a company, process, or product, and which is typically concerned about its wellbeing. Statement of Work (SOW) is a project management document that defines all the parameters — nature, scope, deliverables, activities, costs, schedule — of work being performed by a vendor for a client. Strategic Investment/Smart Money/Corporate Venture Capital (CVC) refers to investments made by venture capitalists (VC), angel investors and corporations in startups and businesses they deem promising. In addition to cash investments these types of investors also provide non-cash value such as market insight, customer networks, domain expertise, branding, and promotion. Subject Matter Expert (SME) is a person who is considered an authority or an expert in a particular domain, topic, or field. System of Record (SOR) is an information storage and management system that protects data integrity, and serves as the authoritative source for specific data items in systems where multiple sources of the same items exists. Target/Targeting refers to the specific group or subset of potential consumers a company plans to sell its product; or the process involving the strategic identification and engagement of such group. Template is a generic file with a framework showing the standard sections or features of a specific kind of document, used to create a new document of the same type faster and easier. Tenor refers to the period or amount of time left for fully settling a loan until the financial contract defining its terms and conditions expires. Top Level Domain (TDL) is among the highest ranking domain type in the hierarchical Domain Name System of the Internet (DNSI). Examples include the domain name extensions .com, .info, .net, and .org. Top of the Funnel (TOFU) refers to the top and biggest portion of a sales or marketing funnel where prospects enter a screening process until only the leads most inclined to purchase are left. It is also a descriptive term for prospects (raw leads) that have shown initial interest in a service or product as a result of inbound marketing and outbound customer engagements. Total Addressable Market (TAM) refers to the largest possible revenue opportunity for a specific business. Total Available Market (TAM) refers to the total revenue potential for a specific product or service, including its future market imprint. Total Value to Paid In (TVPI) refers to the ratio of distributed and undistributed investments in a fund to the amount of invested capital. It is a metric often used to measure fund performance. Touches are units of milestones or points of contact used to measure the marketing effort it takes to transform a prospect into a viable, qualified lead. Also called touchpoints. Tranches refer to slices or portions of debt or securities often released in sequence, based on a specified periods of time. Triggers are a set of signals or occurrences that meet certain criteria to be considered an opportunity to make a sale. Twitter is a free-to-join social network with a micro blogging service that allows the sharing of links, images and videos as well as the publishing of short posts called tweets. Unique Selling Point/Proposition (USP) is a marketing concept that refers to the distinct advantage (lowest price, highest quality, different component materials, or new service features, etc.) a business has over other businesses catering to the same market or audience. Unit Economics refers to the application of economic principles as they impact a single entity such as a business or a customer. Taken this way, quantities such as Customer Acquisition Cost (CAC) and Lifetime Value (LTV) become meaningful metrics that help a business tweak its operational model to achieve higher margins or levels of profitability. Up and to the right is a description of a good business or sales performance, referring to the portion of a line graph where positive growth over a period of time is usually positioned; also called hockey stick growth. User means a person who uses or consumes a product or a service, usually a digital device or an online service. User Experience (UX) covers all aspects that relate to a user’s interaction with a product, service, business, or brand, especially those factors that impact the user’s emotions, viewpoint, attitude, and behavior. In digital marketing, an excellent UX help drive excellent Call-to-Action (CTA) performance. User Interface (UI) refers to the all the elements that allow people to access, use and interact with appliances, software, digital devices and other machines. Web and mobile sites for example, use menus, buttons, and hyperlinks to enable users to navigate a web page or an app. Home appliances use knobs, touch screens, levers and other means to enable human interaction. Unicorn is a term used to describe a startup company valued at over $1 Billion. Value Proposition is a statement or message that encapsulates the reasons — such as benefits and unique attributes — consumers would want to patronize a brand or purchase a product. Value statement is an official declaration that informs the customers and staff of an organization about the company’s top priorities and its core beliefs. Value Triangle is a concept in sales and marketing that describes the interrelationships of three factors: cost, quality and speed in the determining the value of a product or service. Vertical refers to a market where a business targets only a small subset of customers such as a specific industry, sector, profession, or niche. For example, manufacturers of jet plane engines cater only to companies that produce or maintain jet planes. Vice President (VP) is a senior executive in an organization who heads a specific operation or unit, oversees the achievement of strategic targets, and reports directly to the company president. Video Conferencing refers to the technology behind or the act of establishing a visual connection between two or more people positioned in different locations to facilitate remote communication. Virtual Machine (VM) is primarily a software-driven solution that emulates a complete and conventional computing environment, equipped with an operating system and a dedicated hardware. Warm Call is the process or act of calling or visiting a sales prospect with whom the sales professional has had a prior contact such as during an event or via a referral. Warm Email is the process or act of emailing a sales prospect with whom the sales professional has had a prior contact such as during an event or via a referral. Warrant refers to a contractual right entitling the holder to purchase shares in the issuing company during a specified period for a fixed amount, called exercise price. White Hat is a descriptive term to denote good and lawful behavior, but came to also include legalized activities (including sanctioned hacking) that are otherwise illegal in a different context. Many companies pay for White hat hackers to stress-test their computer systems and expose vulnerabilities. White Label is a term describing a product or service that can be purchased by a business entity and legally re-sold, marketed, and distributed under the entity’s own brand or trademark. Most of these products are turnkey and lightweight. Wireframes are rough or low-fidelity representations of a service or a product that show how either is structured and organized. In web development, wireframes serve as one of three types of modeling, the other two of which are prototypes (a much detailed and interactive representation of a website), and mockups (the most visually-intensive representation to convey styling and visual appeal).